A mixed-use project comprised of a two-level, Mediterranean-themed indoor mall and hundreds of pre-furnished condominiums, Oceanwalk was the quintessential seaside development. 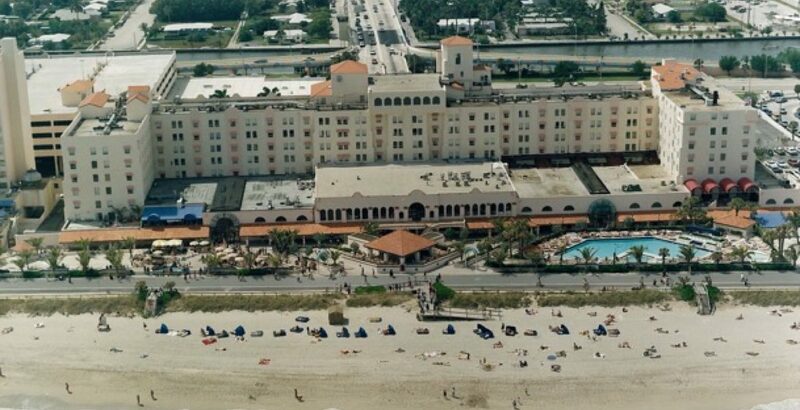 Anchored by a large AMC Theater, the retail project consisted of approximately 60 regional and national stores that opened up onto the Hollywood beach boardwalk. In addition to a food court, there were several entertainment components to the project such as the Time Out Arcade, an indoor rollercoaster, live music and a series of sit-down restaurants with outdoor patio seating. Adjacent to the mall, we built a seven-level garage to service both the retail and residential uses. When the mall was at its peak, we sold it to a third party investor.